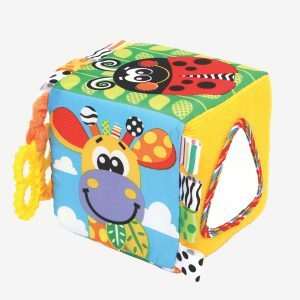 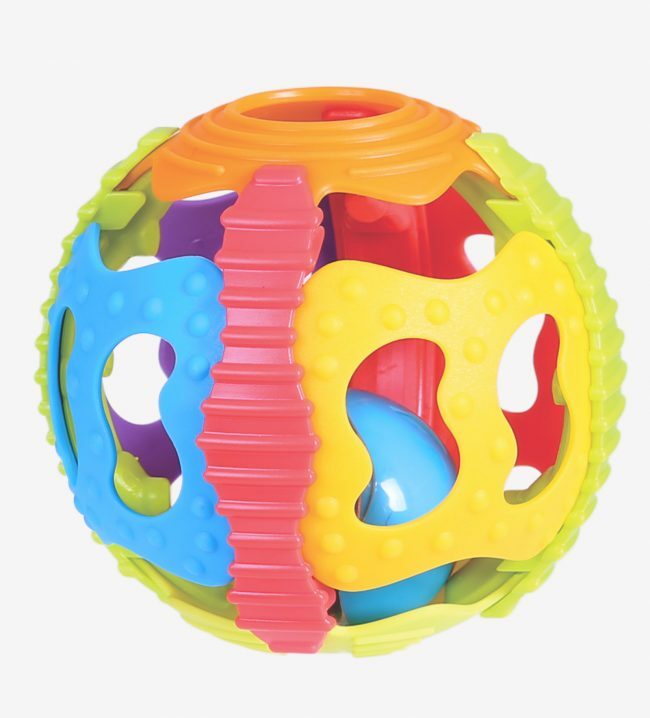 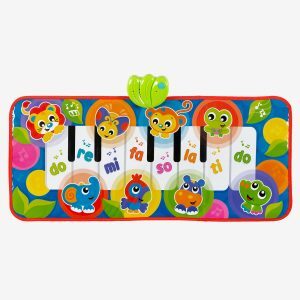 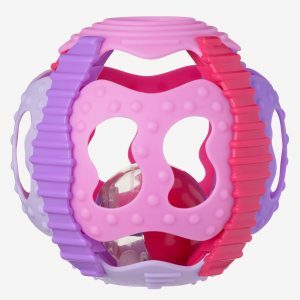 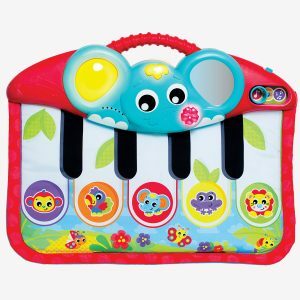 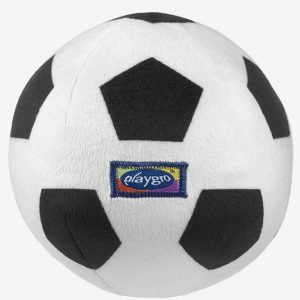 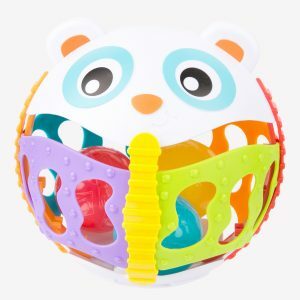 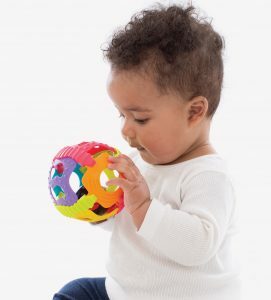 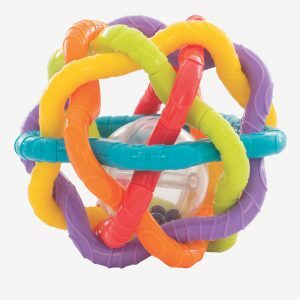 The Shake Rattle and Roll Ball offers a variety of textures with soft surfaces and vibrant colours. 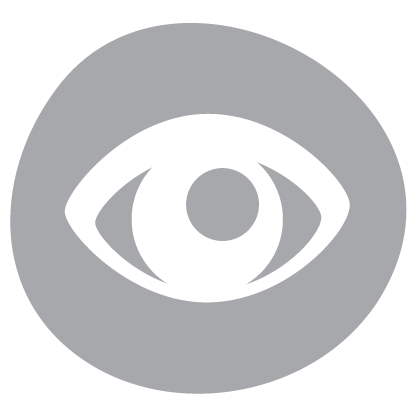 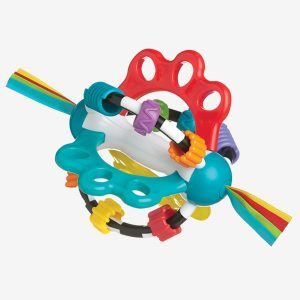 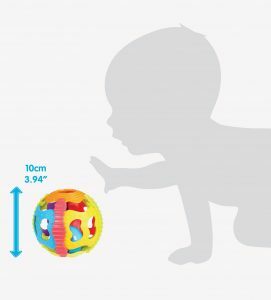 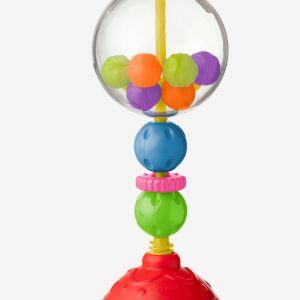 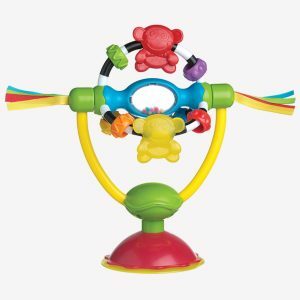 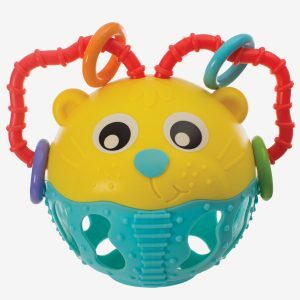 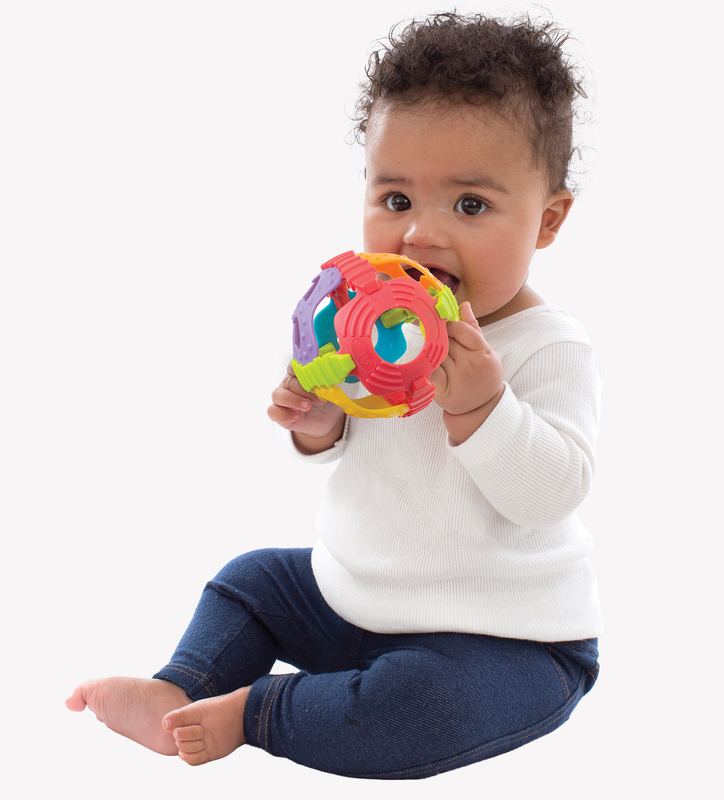 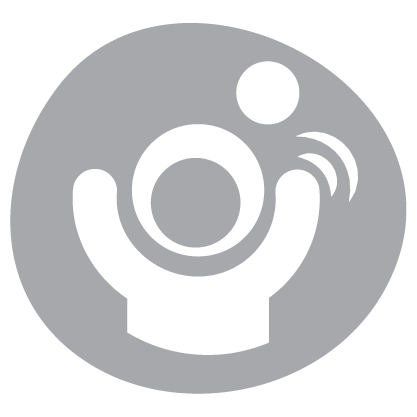 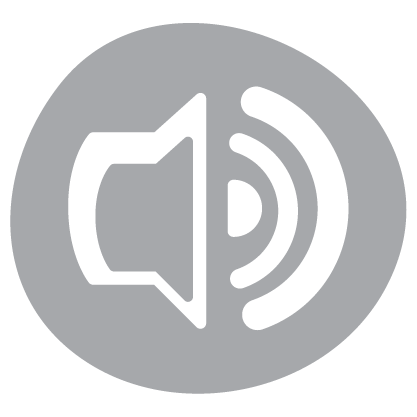 The colourful ball can bend whilst the small ball inside rattles when the ball is shaken, stimulating baby’s auditory development. 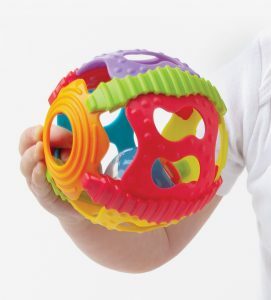 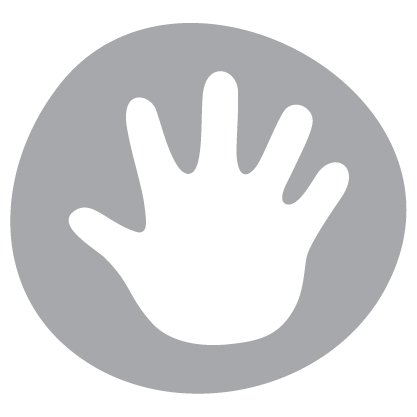 Gross motor skills can be practised by shaking and grasping the ball.